Taking the first steps on the journey to data-driven HR is always difficult. The barriers may include a variety of issues, including data integrity, knowledge gaps, and an excessive amount of HR-Tech solutions. Furthermore, a small or medium business may lack the appropriate volume of data, the resources for shiny Analytics tools, and the right talent to lead initiatives and projects. Nevertheless, with the right guidance and mentoring in People Analytics, and with the right attitude and will power, HR leaders in SMBs can successfully overcome those barriers, and use People Analytics practices to impact their business. I believe that People Analytics will become mainstream when it is common in all businesses, both Corporates, and SMBs. 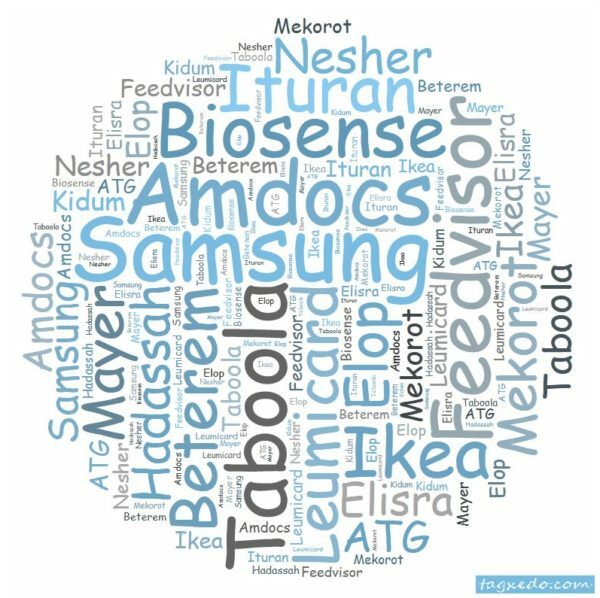 My mission as a People Analytics consultant is to make it happen, sooner and faster, among businesses in Tel Aviv. I am honored and fortunate to take part in some success stories of HR leaders in SMBs. One of the most inspiring, and frankly my favorite, is Michal Shoval, who leads the HR department in GIA Israel. I interviewed Michal lately, in a fireside chat during my People Analytics class in Lahav Executive Education – University of Tel Aviv. Michal offered us an introspective approach to her journey: the motives, the obstacles, the quick win, the team participation, and more. 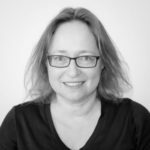 I’m happy to share this interview now with my whole People Analytics community, and I’m sure this story will inspire other HR managers in SMBs who still struggle their first steps in the field of People Analytics. LSH: Tell us a little about yourself, Michal; your company, your role, and your background. 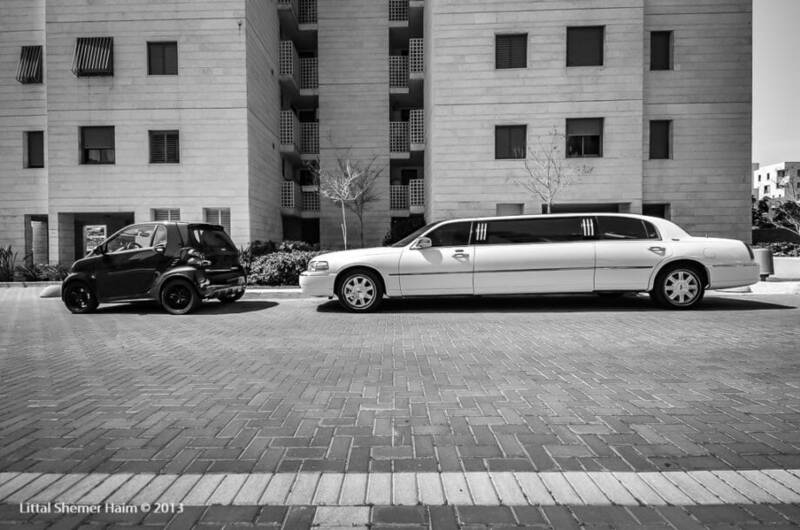 MS: I graduated in Human Resources studies and gained my MBA degree at the Hebrew University of Jerusalem. Since my graduation, I have been working as a consultant and Human Resources manager. 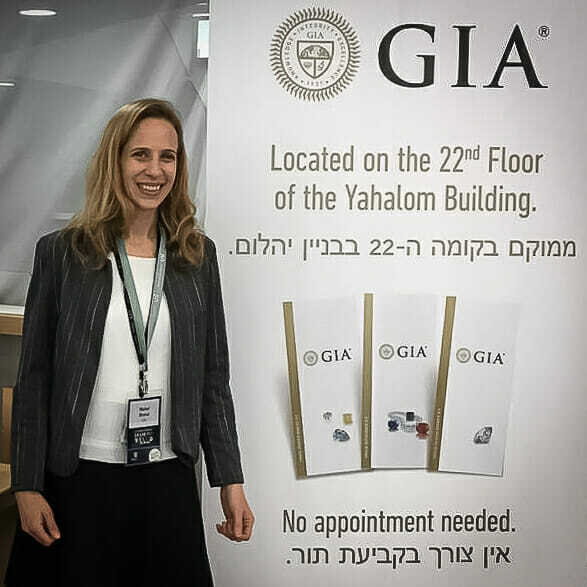 I joined the Israeli site of GIA six years ago, and I manage the HR department since then. GIA was established about 90 years ago. It is the world’s foremost authority on diamonds, colored stones, and pearls. This is a nonprofit institute that operates for the public benefit. GIA is the leading source of knowledge, standards, and education in Gemology. The company has set global standards, called 4Cs, and every diamond merchant all over the world visits the local branch for diamond rating before marketing. So, when you buy a diamond, it comes with a certificate of quality, and usually, it is a GIA certificate. The Israeli diamond grading lab employs people who are trained and certified in different phases of diamond grading, according to the high standards of GIA. My responsibility is to support the organization with people practices that enable us to find the right candidates, train them and maintain them to be the best diamond graders. LSH: What was the trigger to start your journey to data-driven HRM? MS: I was asked by the SVP in our global company to present the way we, at GIA Israel, develop and retain talent. I knew we are doing a great job in recruitment and learning. We invest a lot of efforts to maximize the potential in each employee. But although it was clear to me, I could not base my presentation on my experiences and my gut feelings. I had to bring the numbers, and prove that the investment in talent, the way we do it, brings the desired results. Fortunately, I had the guidance and mentoring to start measuring investments outcomes, and so, I started to understand the relations between the people processes and the business results and I was able to present these relations with numbers and metrics. LSH: All beginnings are hard, and so it is in the domain of People Analytics. What difficulties did you encounter, and how did you overcome them? MS: I read some articles about People Analytics and then tried to run some reports. Unfortunately, I could not reach a mature analysis by myself. For example, I tried, together with my team, to explore the link between improving our recruitment processes and retaining our people. We compared data by quarters and tried to find patterns, but our insights remained at a very basic level. Eventually, we understood that in order to overcome our obstacles we needed some professional and practical guidance. We started our bi-weekly People Analytics mentoring sessions, in which we managed to learn how to analyze our data better. This sort of learning helped us much more, in comparison to the constant exposure to theoretical articles. While doing “our homework”, the action items that we had after each mentoring session, we could deal with the complexity of our data, in a way that we couldn’t approach before. We could also afford to experiment with data, and making mistakes, knowing that we had the support of a professional framework. LSH: How did you develop your first analytical project and how did it influence the management’s perspective? MS: Our first objective was to understand employee retention. It was certainly a quick win, basically because we realized, for the first time, that we should not analyze our people data on a yearly or quarterly basis, but rather use the employee lifecycle for analysis. It worth mentioning that we recruit in cycles, and employees in each cycle go through a long training plan, till they become expert graders. When we explored the data of each recruitment cycle that we had over the years, we found direct links between the improved recruitment processes and a decrease in attrition numbers. We also found a positive correlation between improved recruitment processes and productivity, which means better service to the public. For me, as an HR executive, it was a quick win because, after only four months of mentoring, I was able to present these findings to the global management and demonstrate how the people processes that I lead support the business goals. We started to “tell our story through the data”, and it was so effective. We visualized the lifecycle of our lab’s employees and pointed to the business impact of our HR processes. We manage to prove the ROI of our processes because, for the first time, we described everything in terms of money – budgets and revenues. LSH: What tools did you use? Did you implement new technologies or learn new methodologies? MS: Basically, we used our existing reports from the HRIS, we started to handle additional data, and we processed everything on excel sheets. So, to get started, we didn’t need to implement new tools. However, we did receive recommendations for reading, on every topic we explored. Later, when we needed external data, for Benchmarking, we received comprehensive guidance on how to get it. And when we needed a more complex analysis, we received specific solutions or support. However, the guiding principle was that we were applying everything ourselves while acquiring knowledge on the job whenever necessary. LSH: What was your team part in this activity? Did you share tasks? Did you change the mindset of your team? MS: My team had a significant part. We shared tasks, and everybody participated so that the analytics work could be integrated into our ongoing work. We matched the analytics tasks to everybody’s strengths and responsibilities. This way we could balance between our everyday duties and the People analytics projects. In our mentoring sessions, but also between sessions, each of us could comfortably ask any question, raise ideas, and make a mistake. Thanks to the openness that was created within the team, everybody felt that we were able to cope with the challenge. In fact, my team members responded enthusiastically to the new opportunities to learn and develop ourselves to business acumen and communication with the management. LSH: We often hear that SMBs don’t need, or even can’t handle People Analytics. What do you think? MS: My experience is that even an organization of a few dozens or hundreds of employees can and should use People Analytics practices. Changing our mindset enables us HR professionals to analyze data correctly and support decisions, such as investing in the right HR processes. We may be a medium-sized company, but our use of data that we accumulated over the years enabled us to explore the reality more accurately and to make informed decisions. In addition, even the action of access to data is important because it is an effective way to find out where processes are not backed up with data correctly, and where there are inconsistencies that need to be addressed. LSH: What would you recommend to your colleagues, HR managers who make their first steps in the field? MS: Although I still consider myself as a beginner in this field, my experience shows that learning the domain of People Analytics and changing the way you think about people data change the management perception to see HR as a significant business partner. Therefore, I strongly recommend to all my colleagues who want to have a real organizational impact, to learn People Analytics, to find a mentor if needed, and not to be afraid at all to take the first steps. I think people in the HR world do know how to present their activities around objectives such as employee engagement and organizational culture, but we must learn how to link those efforts to the business goals. As we establish this link, our impact grows tremendously. I look forward to hearing more about the contribution of People Analytics to employee growth and Business results in your company. No Replies to "People Analytics in SMBs: Small Data, Huge Impact"